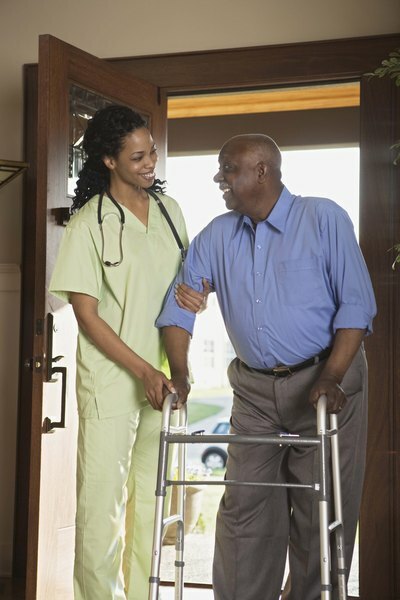 Social Security disability can help with a monthly benefit, based on your earnings. 1. Can Social Security Benefits Be Paid for a Stepchild After the Stepparent Dies? 2. Can I Still Receive Social Security Disability Benefits If I Get Married? If a disabling condition prevents you from gainful employment, applying for Social Security disability benefits can help you make ends meet. Program eligibility is based on your work history, which earns you "credits" in the same way you earn credits for retirement benefits. If you've worked for long enough to have the required credits and can prove your disabling condition, Social Security will provide a monthly stipend based on your lifetime earnings. This benefit is limited to a maximum amount, which Social Security adjusts regularly. If you're covered by disability insurance and file a claim, a state Disability Determination Service will make the decision on your case. You must prove that you have a disability that has lasted or is expected to last at least 12 months or that will result in your death. The disability must prevent you from returning to work and supporting yourself. You can earn a limited amount of money and still be eligible for disability -- in 2013, this "substantial gainful employment" limit stood at $1,040 a month. If you earn more from a job, you will not be eligible for the program. If Social Security approves your disability claim, the agency will pay you a monthly benefit that is calculated on your earnings record. The math is somewhat complex: Social Security figures an average monthly earnings number from your lifetime records and then pays a percentage of that amount. The average disability benefit reached $1,129.63 in April, 2013. Social Security set a maximum monthly disability benefit of $2,533 in 2013. Most disability beneficiaries do not receive that amount, but the monthly benefit does go through a regular cost-of-living adjustment. The COLA increase was 1.7 percent in 2013. If you draw disability benefits, your spouse may be eligible for spouse benefits, and any children in the household may also be eligible for benefits. These payment amounts are based on your earnings record and run up to 50 percent of your own benefit. Social Security applies a family maximum of other household members are drawing benefits on your record; the maximum varies but can be as high as 180 percent of your benefit. The family maximum would not apply to a spouse or another household member who is receiving Social Security benefits on their own work record.